At the start of September the kids went back to school and this year, I went with them. Now teaching in Viennese schools, I get to experience first hand the Austrian education system. The first difference compared to the UK is that school children here do not wear uniforms. That has of course been obvious since I arrived here more than two years ago, but similar to the UK, the shops all use the Back To School theme as a marketing campaign. 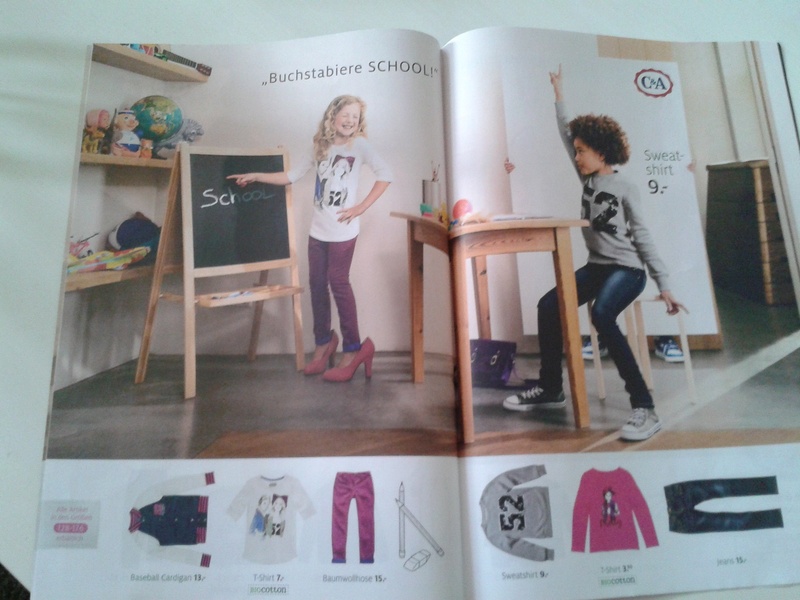 I expected it in stationery shops, but was surprised to receive a brochure through my door from C&A promoting its back to school range. I love how they still have C&A here when it disappeared from British high streets in the mid nineties and yes, they have all the same ranges like Clock House and Yessica and yes, it is always just that little bit unfashionable. I flicked through with interest to see what their back to school range was, thinking that perhaps there were some schools that have uniforms that I just did not know about, but it became apparent that back to school clothes are in fact just normal everyday clothes which you should just buy in preparation for September. 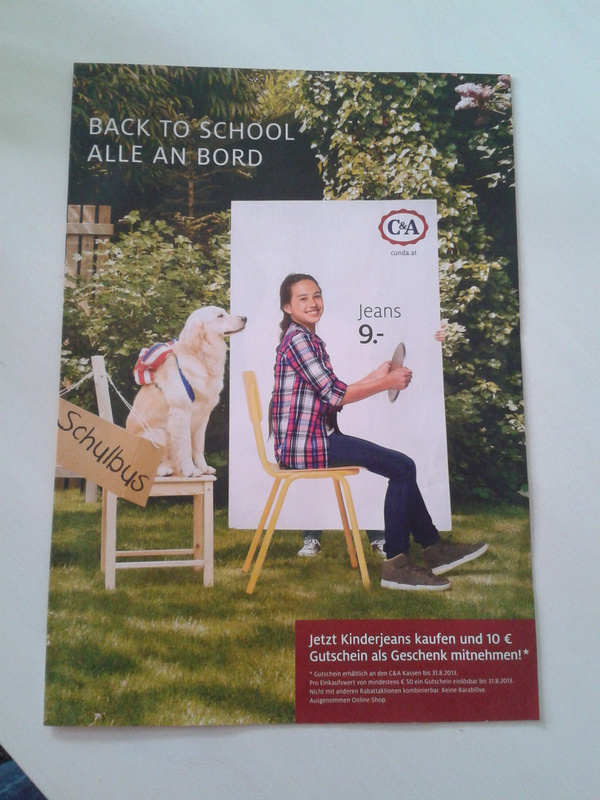 Back to school in your jeans. So, similarly casually dressed in my jeans, I went off to start the new school year. My lasting impression from the first day is of the technology, which blew my mind. Not because there is a lot of it, but because it’s so rubbish and virtually non-existent. Any computers they do have are unbelievably slow. In the staffroom there are two computers for all the staff. No teachers are given laptops. There are no computers or interactive smart boards in classrooms. In fact, it’s like stepping back in time to see chalkboards being the main teaching aid and the chalk and talk method still being the main way of teaching. It frustrates the teachers and accounts for them only being in school when they have to teach: you really do have to go home to do all your planning and admin. I had often wondered, upon seeing large groups of children hanging around the streets as early as 1pm on a week day, why they never seemed to be in school. During my first few days it all became clear to me. Pupils have to be in school at 7.45am and schools pack all their lessons into the morning and go right through without a lunch break. Instead, they have a fifteen minute break called a Jause when the kids try to stuff as much bread and pop into their mouths as possible whilst also trying to run around the school corridors. Often they cannot wait until this Jause and so try to eat in the five-minute breaks between classes. The absence of a long break when they can run off some energy means that they have ants in their pants in class. School is out for some by 1pm, for others it is 2pm. On one or two days a week each class may have to stay until 3 or 4pm for a later lesson, and on these days they can have a proper school lunch, but that is also a strange system to me, to finish at varying times through the week with a timetable that can change every couple of months. I often wonder how parents cope with the irregularity of the school hours. It’s strange to see children and teachers leaving the school at different points during the school day. I wonder how they keep track of everyone. As a teacher of British origin in Vienna, I find this system of a school day without many breaks really tough because there’s never enough time to make, let alone enjoy, a cup of tea! Is that appropriate foot wear?